The Tao (pronounced Dow) is a term for the way that things are – from the micro to the macro. A Western word could be Nature and the process underlying everything. Taoism became so recognized and established in China that whole dynasties were based upon it, just as others were Buddhist or Confucianist. In today’s language it could be seen as the manifestation and reflection of holographic fractals, or in other words – the part reflects the whole, and ‘as above so below’. There are two distinct aspects of Tao. One is religious, the other is not. Religious Taoism has its temples, Gods, monks, rituals… like any other religion. It is long established and there are ancient monasteries and temples on sacred mountains in China and long lineages. The non-religious aspect of Tao is like Western Science – it looks at, examines and incorporates the basic principles of how everything, organic and inorganic, operates. From this viewpoint, Acupuncture and Qigong are expressions and manifestations of Tao because they function according to the rules of natural processes. Tao is an ancient and profound knowledge, said to originate with a legendary figure Lao Tzu, who wrote the book Tao Te Ching – The Book of The Way and Its Virtue. This was around 200 BCE. There are other books from this antiquity, including the I Ching/The Book of Changes, Huang Ti Nei Jing/The Yellow Emperors Classic of Internal Medicine, and Can Tong Qi/Seal Of The Unity of Three. The Taoist Canon (collection of books) is said to number 1,400 texts. 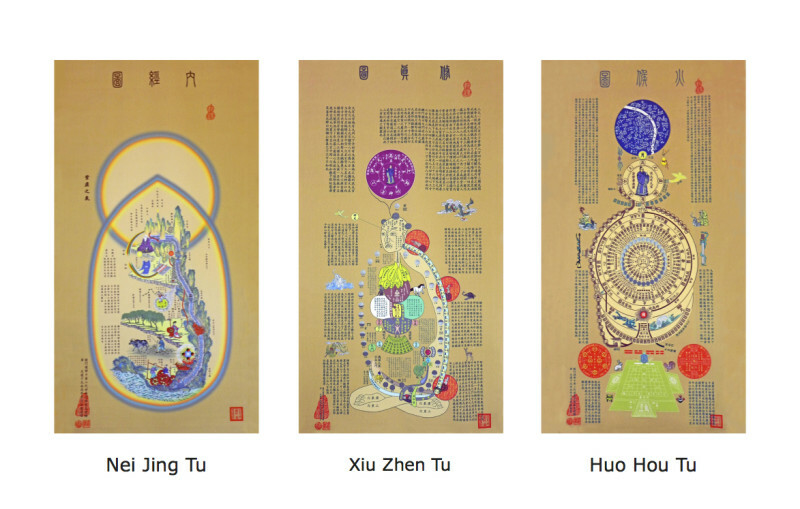 There are charts and diagrams such as Nei Jing Tu, Xiu Zhen Tu and Huo Hou Tu which describe Qigong practices. Yin Yang, Ba Gua, Trigrams, Hexagrams, 5 Elements, The Table of Correspondences… are all expressions of these principles. It has been said that these are the correct operating system of reality. Collectively, these practices are known as Internal Alchemy, and also Neidan and Neigung. They are said to cultivate the Golden Elixir and the Immortal Pearl. The name Tao Studies describes this area of special focus, in the sense of academic research and advanced practice. This is an on-going project. For further information contact Jim.